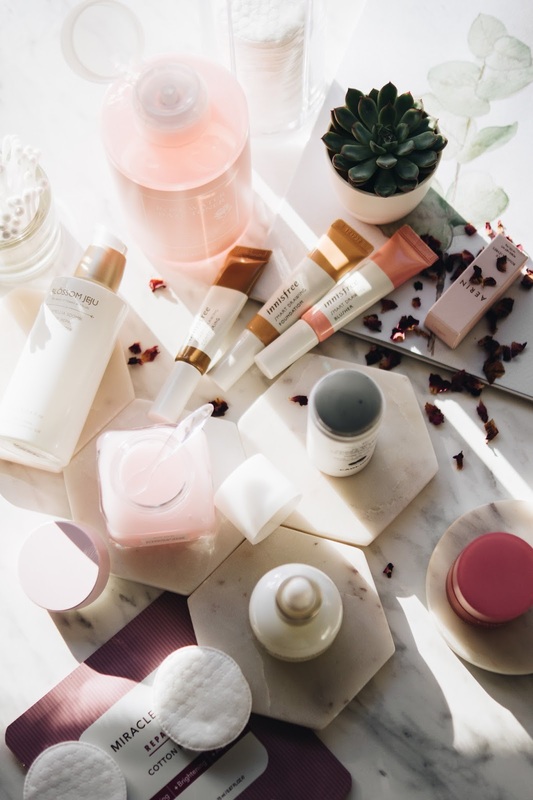 8 KOREAN SKINCARE ITEMS I ABSOLUTELY ADORE RIGHT NOW. 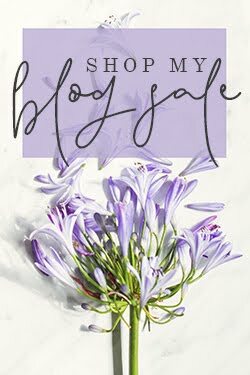 The perks, and simultaneously problems, with writing a blog, is that on a permanent basis, there's too much to try. And Korean skincare is a case in point. I've always had a love for the stuff (with my heritage, how could I not? ), but it can very easily make it's way towards the back of the cabinet when other, new and shiny beauty items come along. But in a way that's nice. 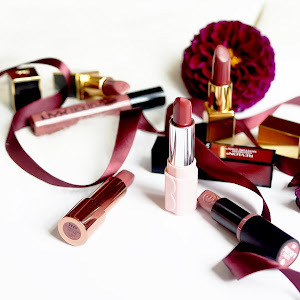 It's like a little resurgence every time you re-find old favourites, or a new product truly impresses. And the latter is exactly what I'm sharing with you today. 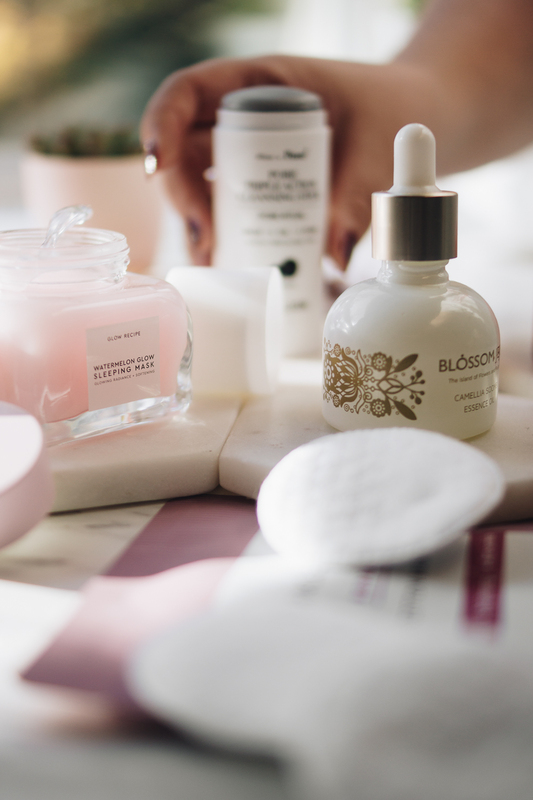 If you follow my Instagram, then you're already a bit ahead of the game as I've given some of these delights a mention over there - so, without further waffling, let me welcome you to tuck into a little tasting menu of my current, very favourite, Korean skincare goodies. I've had an underlying hankering for this mask since it's launch, so was utterly delighted to see it's familiar packaging inside a parcel from Cult Beauty last month. A naughty, rebellious part of me would love to disagree with just about everybody's positive reviews of this coveted mask, just to not follow along like a sheep - but no such luck! The packaging is lovely and weighty (glass jar, metal lid) and it's contents, fruity and divine. 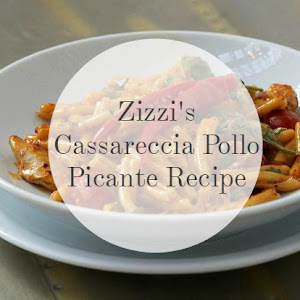 A delicious mix of skin-benefitting ingredients, it's every bit as good as they say. 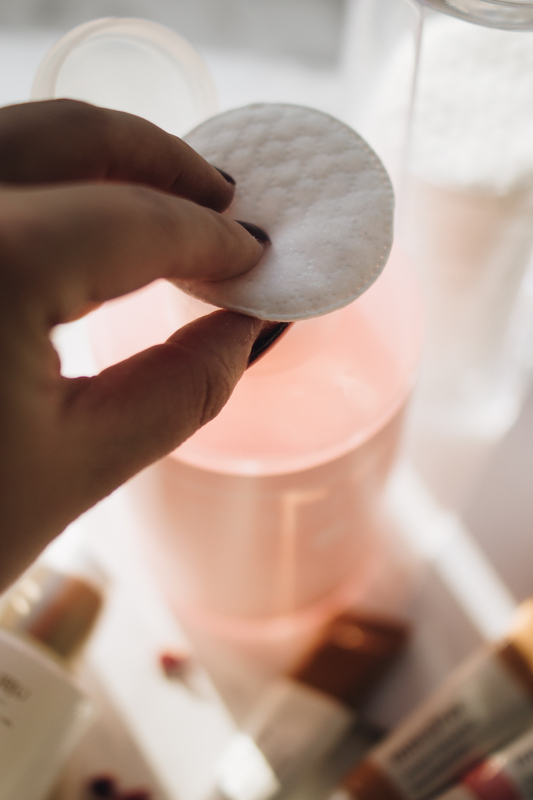 Applying a scant layer at night (you need not much) somehow stays on your face for the duration of sleep, no matter how much pillow-smushing goes on during the night, and peels off in the morning to reveal bright, plump skin. 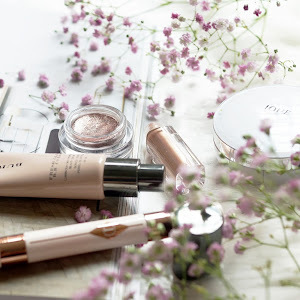 I didn't have all too high hopes for this range, because in all honesty, I tend not to be as enthusiastic about K-makeup as I am their skincare (evident from my beauty posts no doubt), but this line from Innisfree is so very impressive. They've received so much use since my full review and their travel-friendly packaging makes them one of the first things I reach for when I go away. 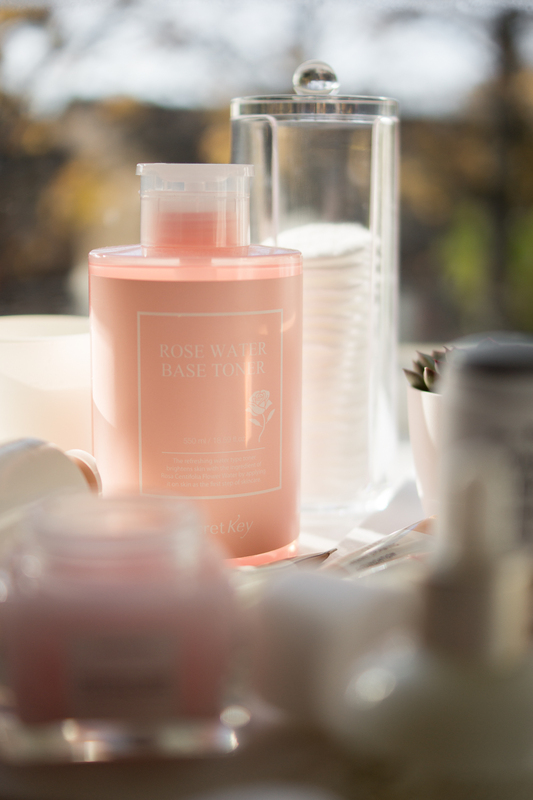 If in need of a simple, no-fuss toner then I'd point you towards this delicious rose one. It's a lovely, gentle and hydrating formula, including lots of lovely rose extracts, panthenol, glycerin, sodium hyaluronate and aloe, making it great for sensitive skins - although I do follow the sensitive-skin-for-all-skins philosophy. There's a lovely, gentle scent of rose, not too overbearing, and it's pH matched to your skin at 5.5. The bottle is absolutely gigantic (I fully didn't realise you're getting 500ml of product for your money) and the very most icing-on-the-cake moment was to find it comes with a reverse pump. 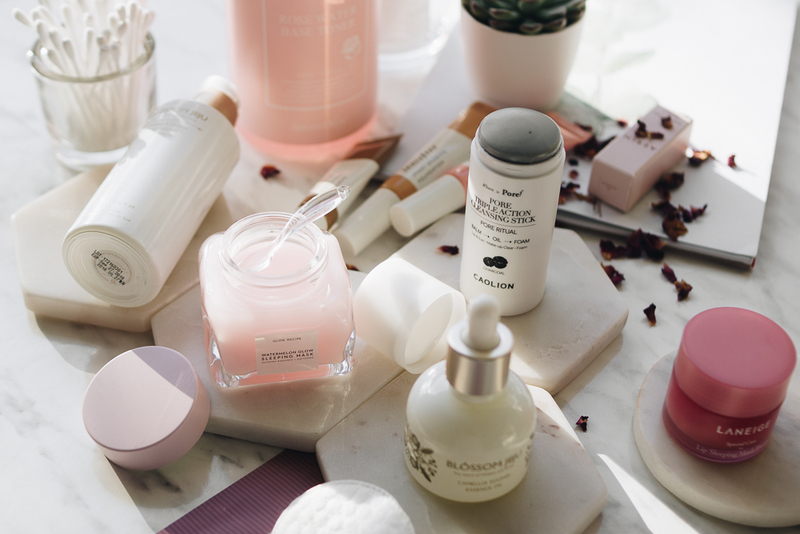 Skincare dreams. 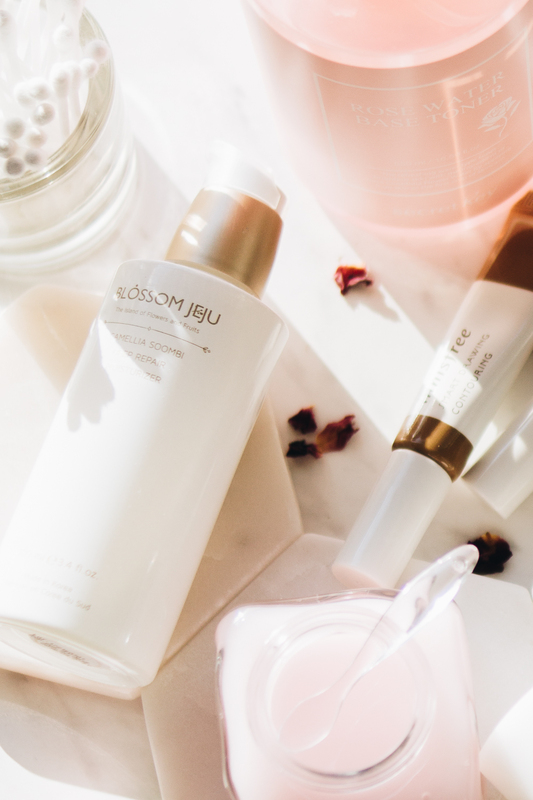 I can't say enough about the Blossom Jeju white range. 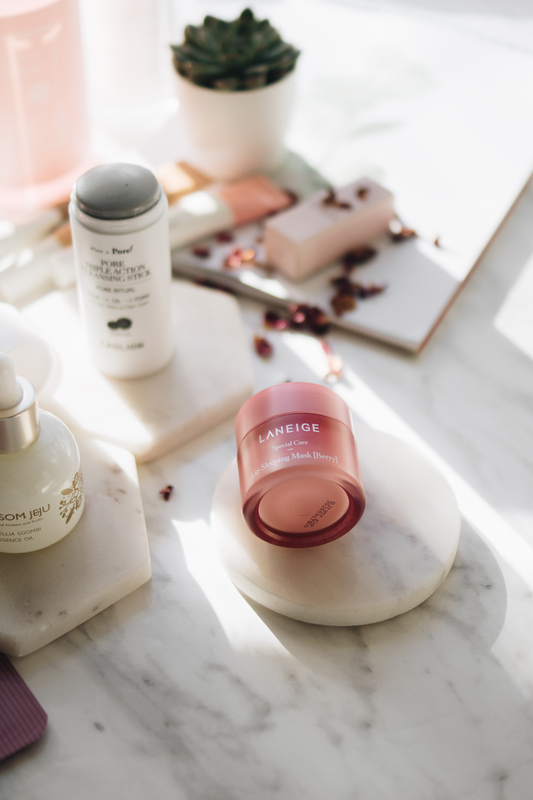 Skinsider kindly sent me over these two goodies and I fell in the love the moment I tried them on the back of my hand, let alone within my skincare routine. They've got a delightful, honeysuckle scent which reminds me of the very first perfume I was allowed to buy, on our yearly family holiday's to Paris - in fact it smells identical, so I'm a very happily-reminiscent girl indeed (I take a moment to breathe in the scent a little before applying either product to my face - divine). Their moisturising lotion is lovely and light, and chock full of skin-benefitting ingredients at the fore of the ingredients list, in fact, all throughout the ingredients list. 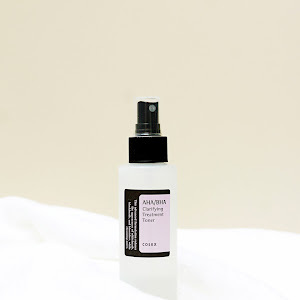 I love applying this straight after the essence oil I'm about to mention - it sort of emulsifies any excess oil sitting on your skin, and prevents any hint of would-be surface oil transferring to pillowcases or whatnot. 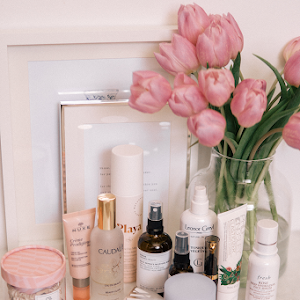 If you were to ask me what my one favourite (single ingredient) facial oil was, camellia would feature in my top 3, and Blossom Jeju use it so beautifully in their products (you know the masks are also a favourite). The Soombi Essence Oil contains 72% of the delicious stuff, as well as 7 other oils (including rosehip), blended for our free-radical fighting, youth-preserving, pleasure. Just two oustanding products. 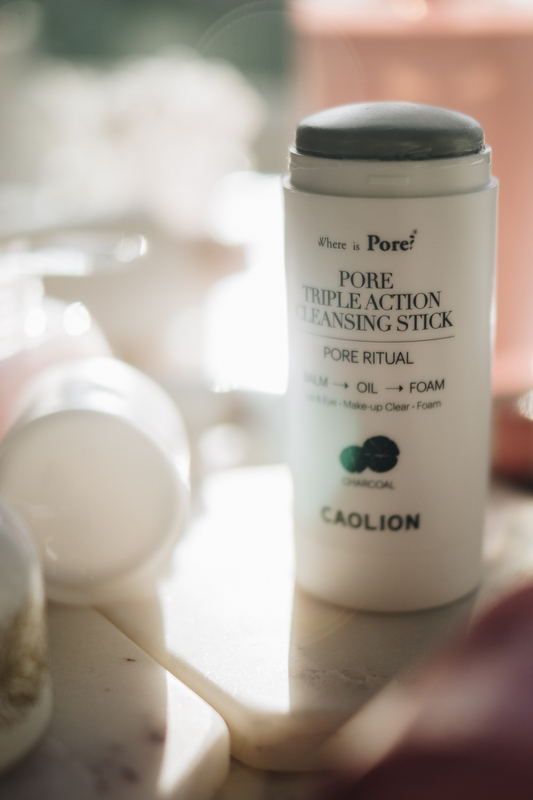 This Caolion stick cleanser c/o Cult Beauty is a dream to use. 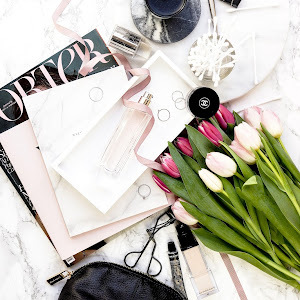 I find myself erring more and more towards easy (or you could well call it 'lazy'..) skincare, the type that really requires very minimal effort, but produces results with consistency due to it's quality. Although certainly travel-friendly, and very useful that is, a stick format isn't always the most hygienic. To combat this somewhat, I apply this cleanser straight from the stick into a clean, dry palm, before dispersing over my face. The charcoal (there's a green tea one too) version clears out my pores exceptionally well - I feel like this would be a great one to use with a Foreo device, for an extra deep clean. This little pot has found a permanent new home on my desk, as my 'operation-stop-dry-lips-whilst-working' balm. 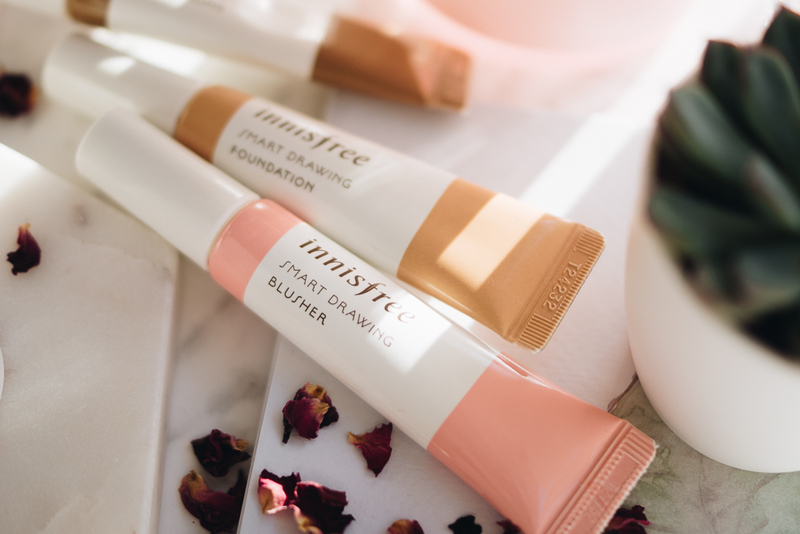 Oily, hydrating and a saviour for my intensely dry lips at the mo. 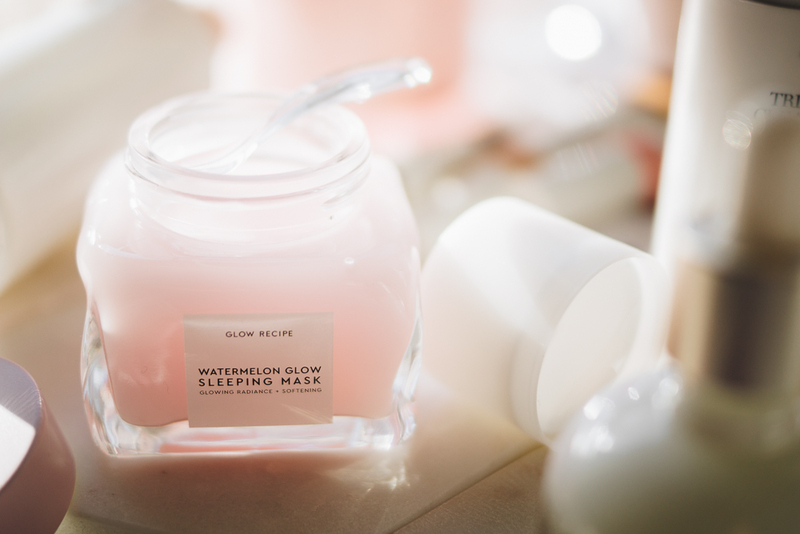 Don't be fooled into thinking that a 'lip sleeping mask' means you're getting anything more than a lipbalm by the way, because a lipbalm is really all it is, albeit a heavy duty and very good one. And it comes with a little silicone spatula, so if that wins it bonus points for you ;) There are several shades to choose from now, although I've stuck with the classic, Berry. A product I'm using and loving daily. I mentioned these sheet masks earlier in the year, and they're one of the few that I've repurchased a few times. 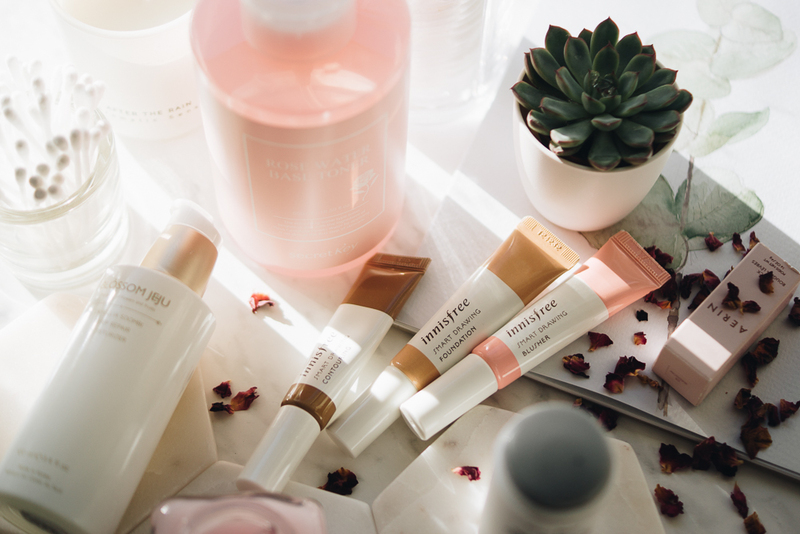 Harbouring a virtually waterless formula, these masks are soaked in saccharomyces ferment and niacinamide, alongside a plethora of botanical extracts. 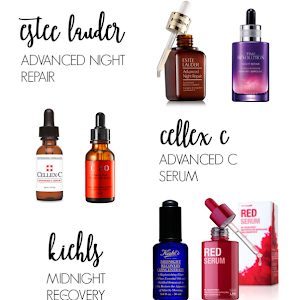 You'll find many less-expensive masks lacking when it comes to a quality formula, but not these. 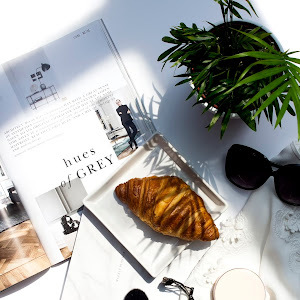 Compared to some of my other favourites, these masks are far more affordable, yet retain a worthy list of ingredients, and great to use as often as you have the time. 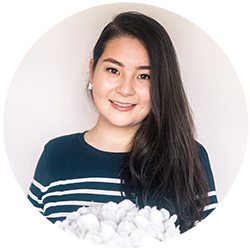 Korean skincare is so easily accessible now, which I'm loving, and I'd also love to hear your current favourites and share in some Kbeauty love! 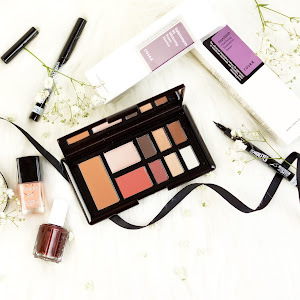 I can not believe how stunning every single one of these products look! I am going to have to try out the watermelon mask! So now your bathroom looks like a spa! Literally these photos have blown me away! 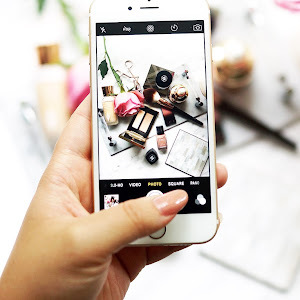 You make all of these products look so luxurious!